Source: Review copy from the publisher - thank you! There's a quiet beauty that slowly emerges through the storytelling of Stasia Ward Kehoe. It's the kind that will grab your heart, without you even knowing it, tugging it deep and then deeper inside. For someone who is not experienced with novels in verse, I was a bit hesitant if I'd really connect with this writing style. Oh what a pleasant and brilliant surprise this reading experience quickly became for me. Not once did I feel a disconnect, or felt that the story was skimming just across the surface. The flow of this novel was spot-on and held me captive til the very end. Daisy has a true talent as a musician, and it's been her escape for as long as she can remember. All the hours she's put in to rehearsing has paid off and she's on the cuspid of a brilliant future ahead. But what was once her passion is starting to become muddled in the affairs of her life at home. Daisy's severely autistic younger brother is growing into a teenager, and what used to be a behavior her mother and father could handle on their own, is quickly spiraling into a dangerous situation for the whole family. My heart went out to Daisy and her parents. I could not imagine the difficulty in loving a family member who needs so much care and attention. The amount of stress put on all their lives was carefully portrayed, so much that I could empathize with their situation. They want what's best for Steven, but is keeping him at home under their care necessarily best? As Steven's episodes quickly spiral deeper and deeper, it puts an enormous strain on the family dynamics. Daisy slips into the shadows and begins spiraling out on her own accord. She grows closer to a boy who is someone the old, disciplined Daisy would never seek solace in. However, maybe this is what Daisy needs. After all, Dave knows just the right things to say, and its his actions that pull her mind away from the chaos at home and into a world of what normal teenagers should be worrying about. In the back of Daisy's mind she knows how far off her planned path she's detouring, but what difference does it make if no one is noticing. The Sound of Letting Go is a heartbreaking interpretation of what it means to accept the changes in our lives, and where those changes may bring us. I fully connected with the brilliant writing style of Stasia Ward Kehoe, so much that I couldn't tear myself away from the story until I knew Daisy would find her way back again. For those who wish to experience a novel written in verse, I highly recommend beginning with this one. It's a gorgeous story, full of emotion and the hard decisions we must face in life. Under all that beauty is a soft melody that effortlessly delivers a story that contemporary YA fans will devour and adore. *Did you enjoy this review? 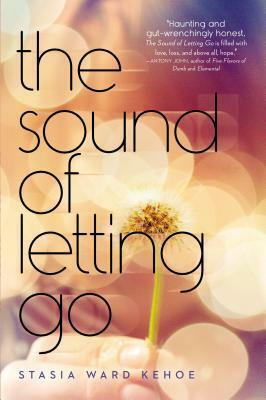 Then be sure to visit by my blog on Thursday (2/6/14) for an exclusive author interview + giveaway - all part of the blog tour for THE SOUND OF LETTING GO! The Sound of Letting Go has a beautiful cover (the colors! the bokeh!) and I'm glad that the book itself was wonderful as well. I'm not really a huge fan of books in verse but I'm glad that the Sound of Letting Go was good, that it could portray the ways to deal with change, however unwanted, and where the changes takes us. I must admit I've become a little wary of novels written in verse after a handful of lacklustre, or entirely negative, experiences with the medium. That said, your review just might have changed my mind and I'm seriously considering picking up The Sound of Letting Go despite my reservations regarding the manner in which it's written. I love stories that centre around a protagonist with a hobby or pastime they're passionate about, particularly when it's music-based. I've also never read a novel that included an autistic character, and would be interested to see how this issue was handled. Plus, that cover? Too die for. This was an absolutely lovely review, Ginger, and if the novel itself is half as beautiful and poetic, I'm in for a treat :) Thanks for convincing me to step outside of my comfort zone! I hadn't heard about this book until now, but oh my goodness it sounds amazing. I'm a pretty big fan of books written in verse, but it definitely takes talent to write one that successfully tells the story while retaining the beauty of written verse. It sounds like the author did both of those things well. Daisy's story (as well as her family's) sounds very interesting. I'm definitely adding this to my TBR! I remember seeing you tweet about this book, and wanting to read it! It sounds like such a compelling contemporary read, and I always trust your opinion when it comes to those. 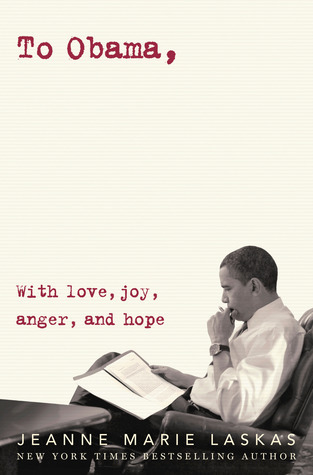 I'm glad this book moved you so, and I can't wait to read it! "Under all that beauty is a soft melody that effortlessly delivers a story that contemporary YA fans will devour and adore." You have such a way with words and description. I love it! Also, yes I agree with every single word you wrote about The Sound Of Letting Go.